I have seen many typewriter tattoos, but this one is unique. Because itâs only the ribbon taken out of typewriter. But can you guess, whether the typewriter is missing, or the missing ribbon is placed here? Puzzle! It seems less of a tattoo, but more like a puzzle! The ribbon is extending long and long, but no sign of any typewriter at all. My search ends with this ribbon itself! 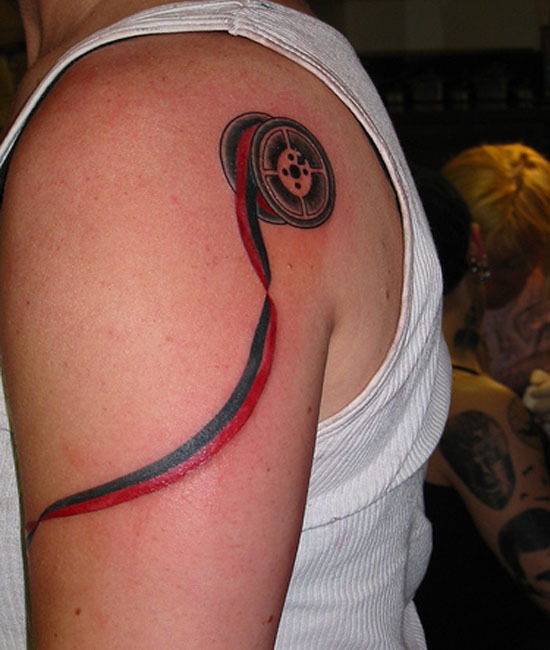 ← Strawberry Tattoo: Is it really bleeding? !